About 2-3 weeks ago I was reading The Economist when I came across the Obituary section. 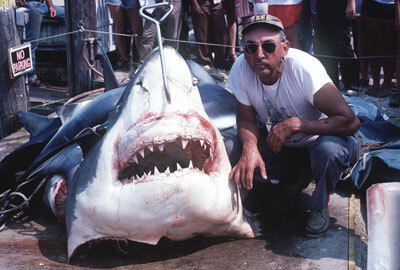 Featured was Frank Mundus – probably the most famous shark fisherman – some may recall Captain Quint from Jaws – while Benchley denied that the character was based on Mundus, he did go out with him on various occasions for “research” purposes - there are obvious similarities. Regardless I am trying to figure out why The Economist would dedicate a page to Mundus…I do not think I can say anything negative about him and what he did – after all he was part of a generation that did not know what impact their actions would have and how they would be seen today. In fact, most “ocean men” of the 1940s-1950s started diving to hunt – Jacques Cousteau believe it or not was an avid spear fisher – even my old man started that way. I think what is important to realize that some of these men changed and have become ambassadors of the ocean…I am not sure what Mr. Mundus did in his last years – I remember seeing him in the Discovery Channel interacting with live White Sharks – but cannot confirm that he became an activist per se.